“Which homes for sale near Leona Cox Community Elementary School, Canyon Country CA would mean my children could attend this well scoring school?” Please scroll down for school information and Leona Cox Community Elementary School website. This is one of the most important of many questions parents ask when beginning their Santa Clarita real estate search for homes for sale near Leona Cox Community Elementary School in Canyon Country CA. It is both disappointing, and a waste of precious time if you find homes for sale near Leona Cox Community Elementary School you love, and believe that your child can attend, only to find out it is not within the schools attendance boundaries. Look without wasting your time. 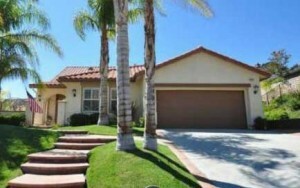 All Santa Clarita homes for sale near Leona Cox Community Elementary School. Page is constantly updated and includes homes in the Santa Clarita community of Canyon Country CA within the city of Santa Clarita CA. Homes to be found for sale near Leona Cox Community Elementary School include town homes, and single family tract homes many with spectacular views over the Santa Clarita Valley. Believe that we will meet the learning needs of all students who will achieve academic success in a caring, safe, supportive, learning environment, and succeed in reaching specific and articulated goals while becoming citizens of good character. To view your selection of Santa Clarita homes for sale near Leona Cox Community Elementary School Canyon Country CA today, contact Pia Soper, your local Santa Clarita real estate agent in Canyon Country CA, and Santa Clarita CA today!